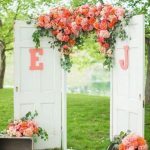 Are you getting married and looking for interesting and unique ideas and items? Home-re-usables & Refunk’d is the place to come and check out. We have beautiful barn board & antique doors to create an entrance to your event that will create a welcoming atmosphere for your guests. Have you thought of a seating plan display for your event? Here’s an idea! 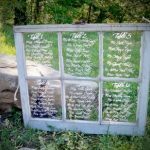 Use an antique window and write on the glass panes to display your seating plan. Do you want a bar at your special event? We have lots of pallets that can be used to create a bar. This could be a fun addition to any party. Easy to make and affordable idea!